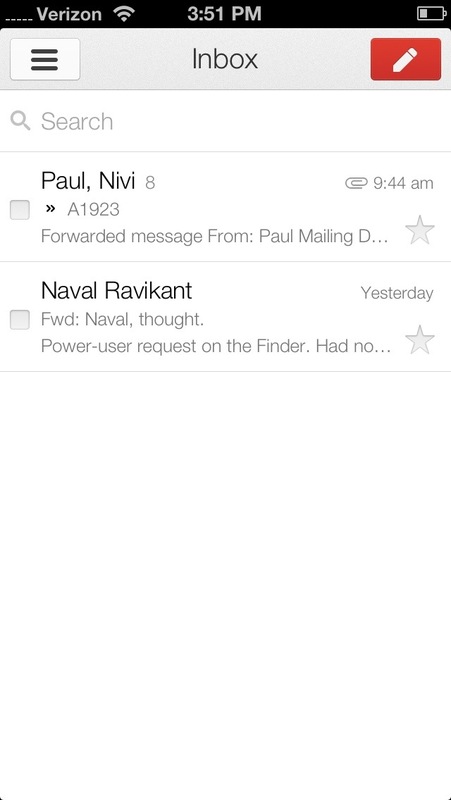 We use very little email at AngelList. Most of our communication happens on Yammer, HipChat, Tracker and face-to-face. This probably gets us a 90% reduction in email. 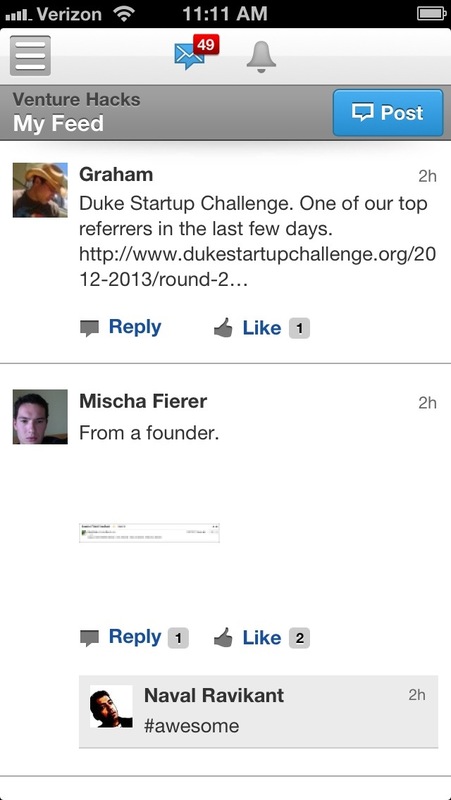 Yammer has nested conversations, search, inline images and likes. It is also our company directory. And they have a mobile app. We use it for asynchronous communication across the whole company. Most of all, it keeps our company “mailing list” out of email. Yammer, HipChat and Tracker all have email, mobile and desktop notifications. You don’t need to check them every 5 minutes. 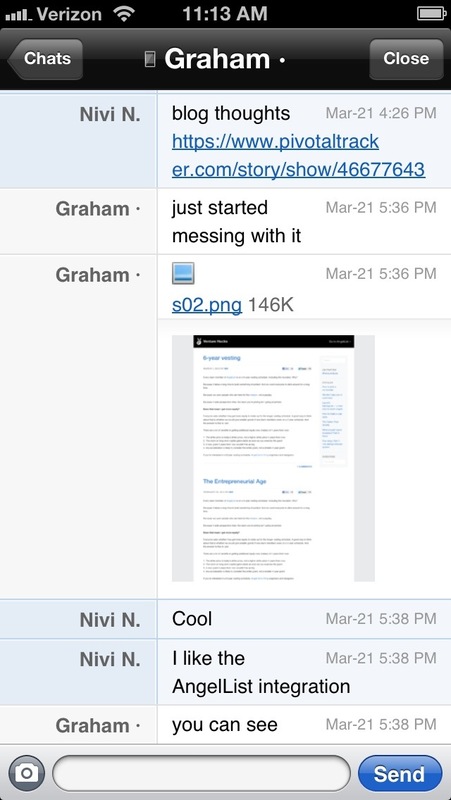 HipChat is an IM app for desktop and mobile. It has inline images, presence, search and a company directory. The (buggy) iPhone app keeps you accessible when you’re out of the office. It also supports multi-person rooms (we have a room for our engineers) and it has an API that we use to feed other rooms with exceptions, GitHub notifications and deploys. 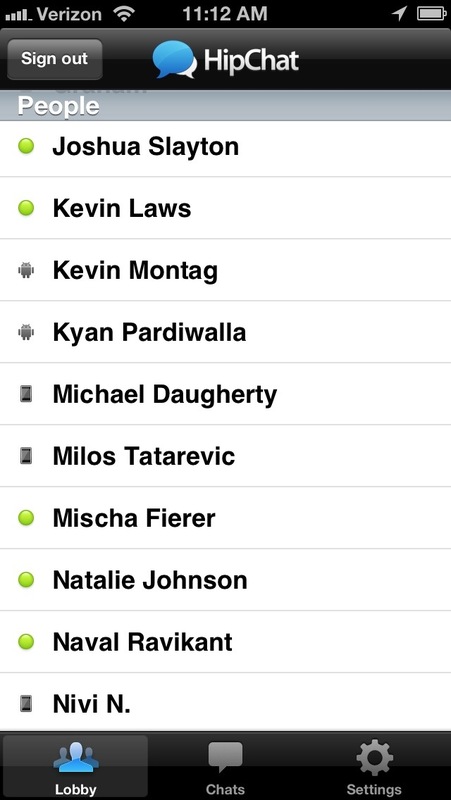 We use HipChat for synchronous 1-on-1 and group communication. If you’re using Skype for IM, try HipChat. Alternatives include Yammer, which has rudimentary IM. Or a Facebook group which has a wall and basic IM. But I recommend HipChat. We use Tracker to spec out goals and tasks for new features. Each spec has its own todo list, image attachments, comments and status. It’s also easy to re-prioritize features and assign them to different people. Some people prefer Asana or Trello for specs. The biggest companies weren’t built remotely. Families don’t live remotely. Sports teams don’t train remotely. Face-to-face is for high bandwidth communication, sub-communication (body language and facial expressions), leaving an impression, new ideas, overhearing other people’s conversations, bonding with your co-workers, whiteboarding, throwing chairs, and everything else you need to say to build a big business. I discourage new team members from using email, but there are a few places where we use it. First, when we need to communicate with people outside the company. Third is laziness and stupidity (guilty). Update: There’s an excellent discussion of alternative approaches on Quibb. 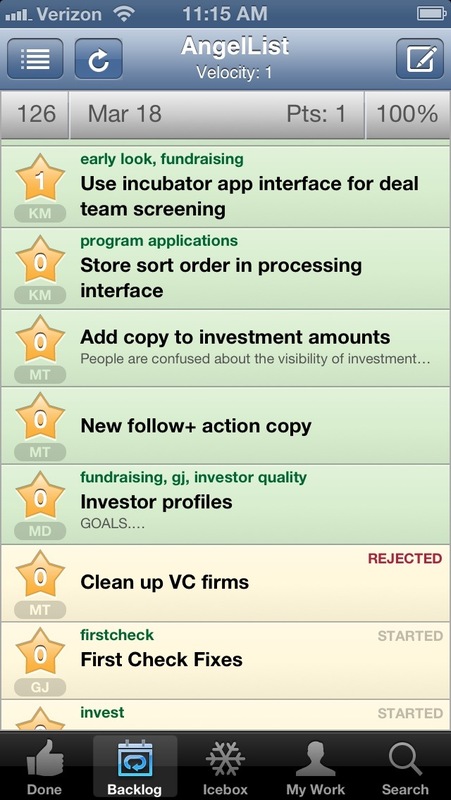 Here are screenshots of the mobile apps. They all have desktop apps as well.